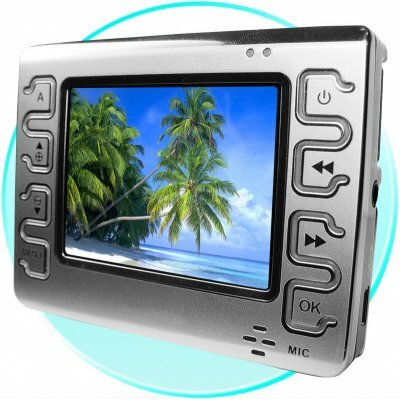 Successfully Added Desktop 1GB MP4 Player + Digital Camera - Dual Speaker Sound to your Shopping Cart. 1GB MP4 Digital Entertainment Player with a unique back hinge and dual high quality .5mW adjustable Speakers perfect for viewing your digital movies from your desktop. This multi-tasking PMP also can also be used for taking sharp 1.3 Mega Pixel Digital Photographs or Digital Movies at 320x240 resolution, and both with X4 Digital Zoom. Finally, with TV OUT and AV In, you can expand on the already impressive abilities of the quality MP4. With Chinavasion, feel free to import with no problems direct from China, and Drop Ship this quality PMP direct to your customers..